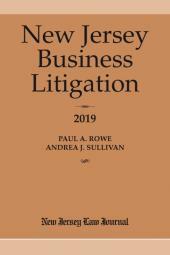 A comprehensive library of over 200+ MODEL COMPLAINTS (in print and on CD), created, tested and honed by attorney-experts in mulitple litigation practice areas. A comprehensive library of over 200+ MODEL COMPLAINTS (in print and on CD), created, tested and honed by attorney-experts in mulitple litigation practice areas. These complaints are presented in book and electronic format on a CD-ROM, which may be opened in MS Word. These forms may be edited to suit the unique facts and circumstances of each case. Use these complaints as your templates and save valuable time drafting and typing. In addition, each section contains practice tips and checklists unique to the practice area.